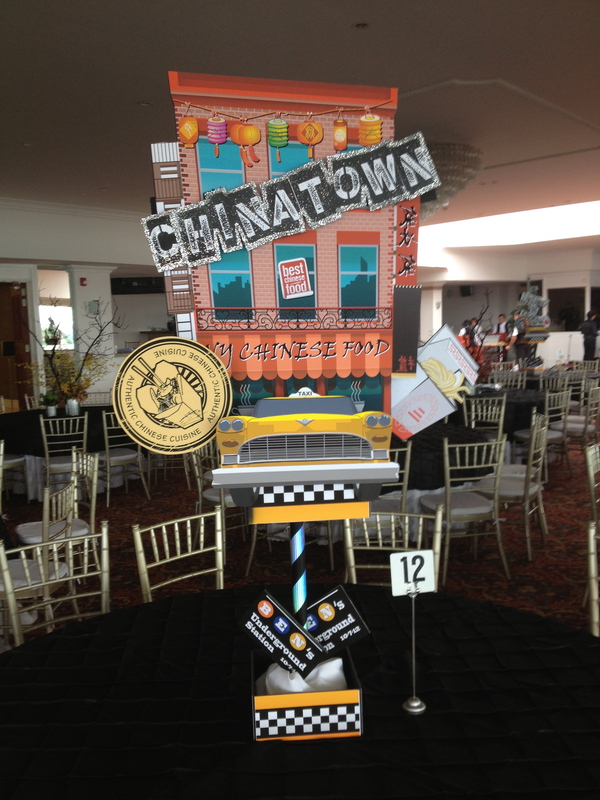 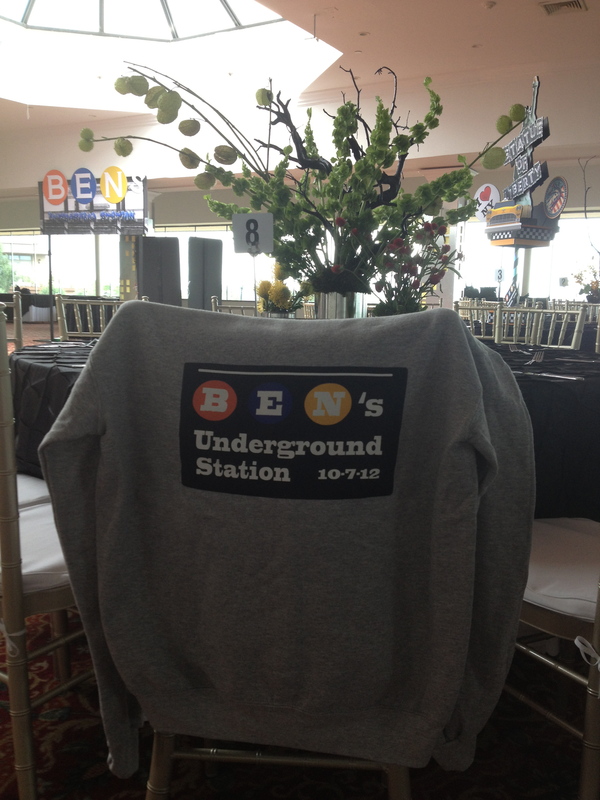 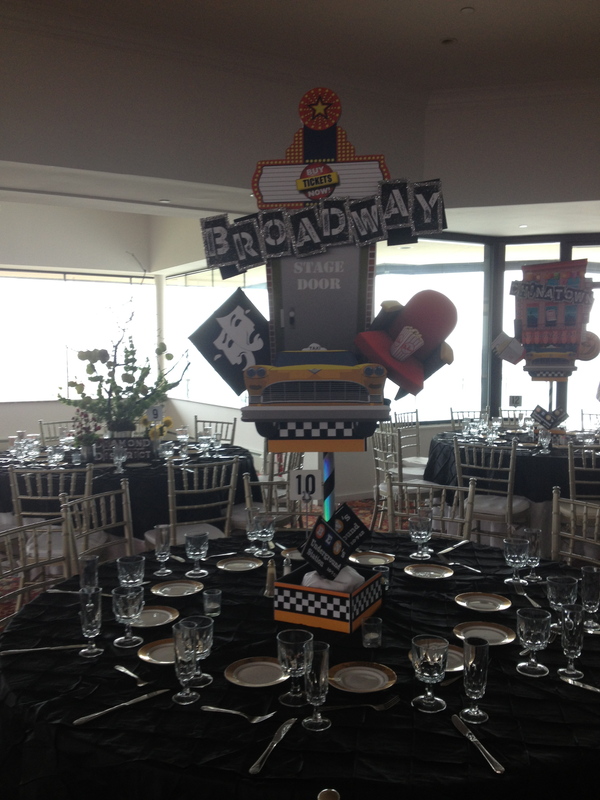 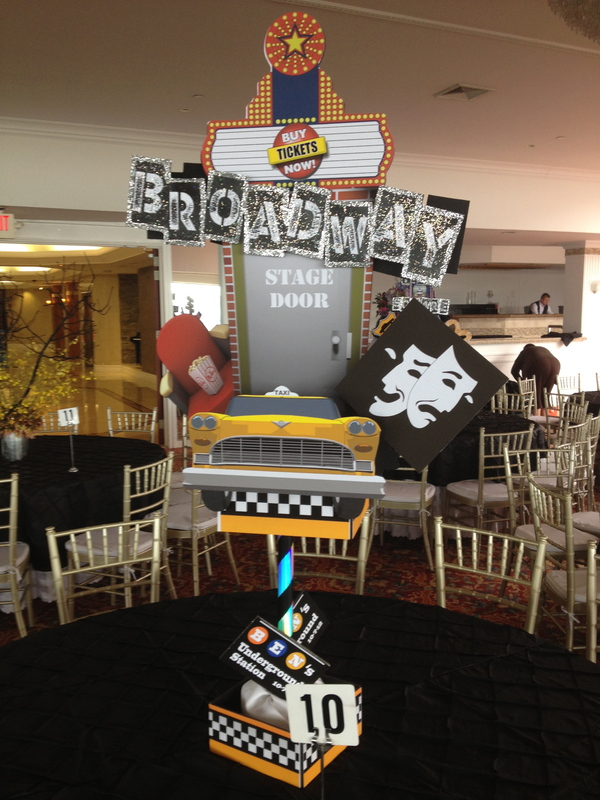 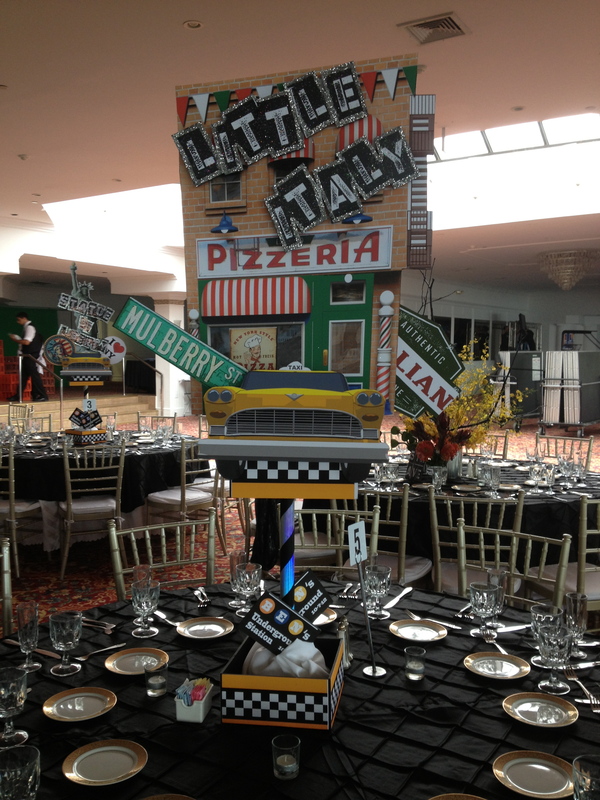 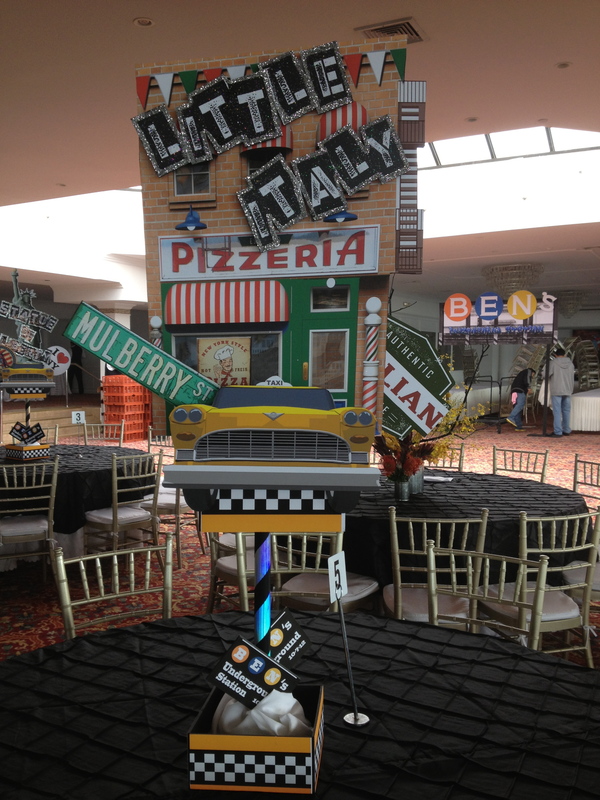 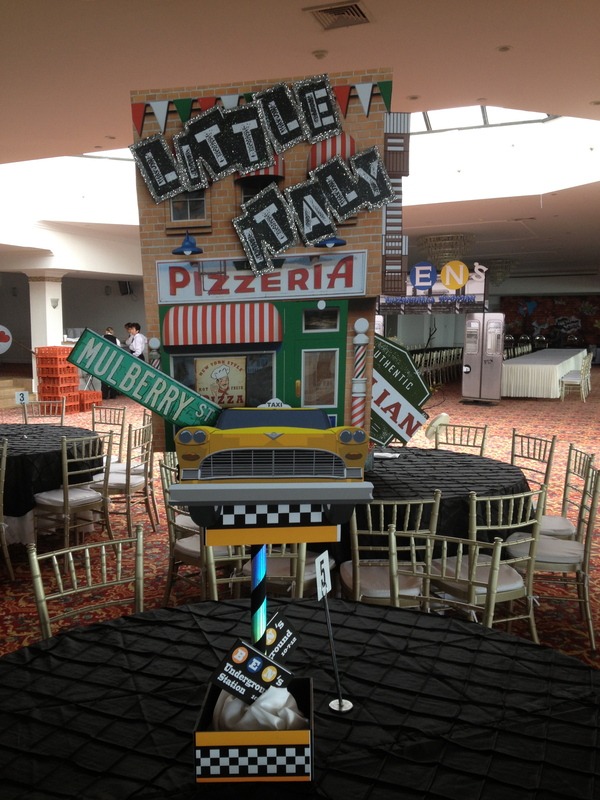 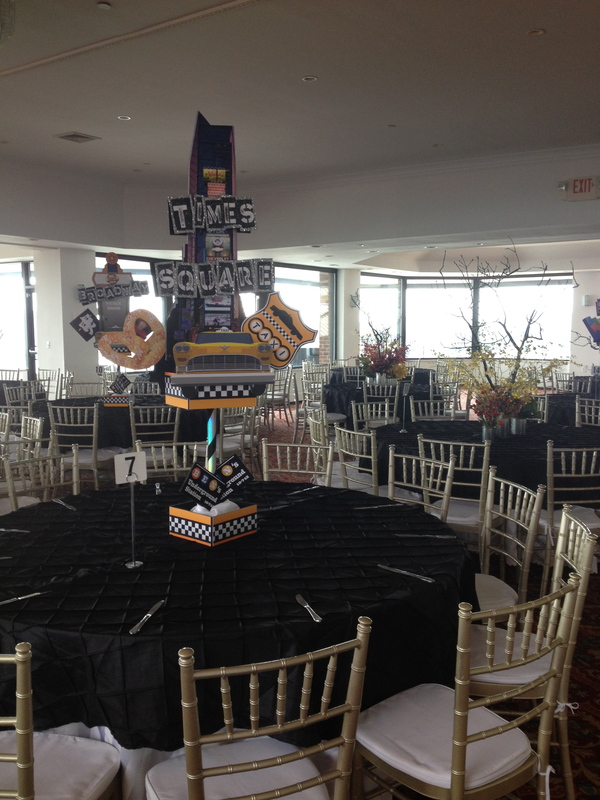 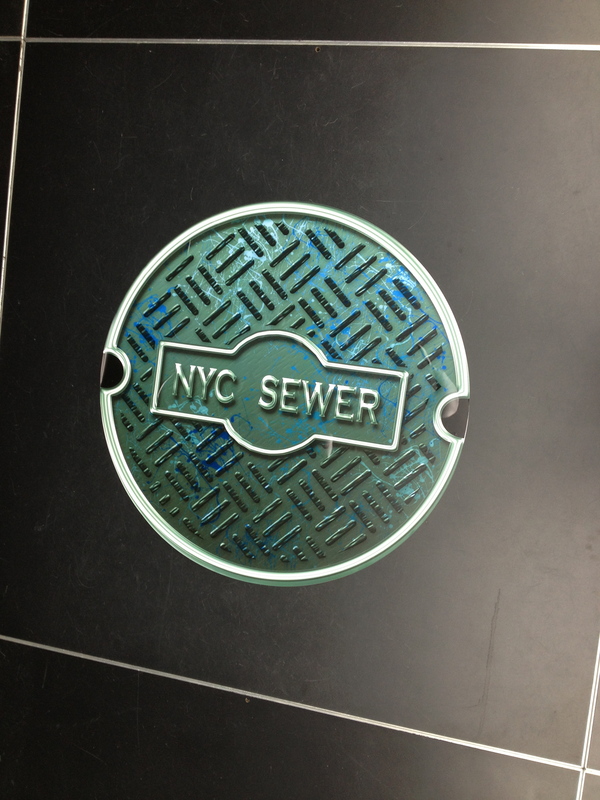 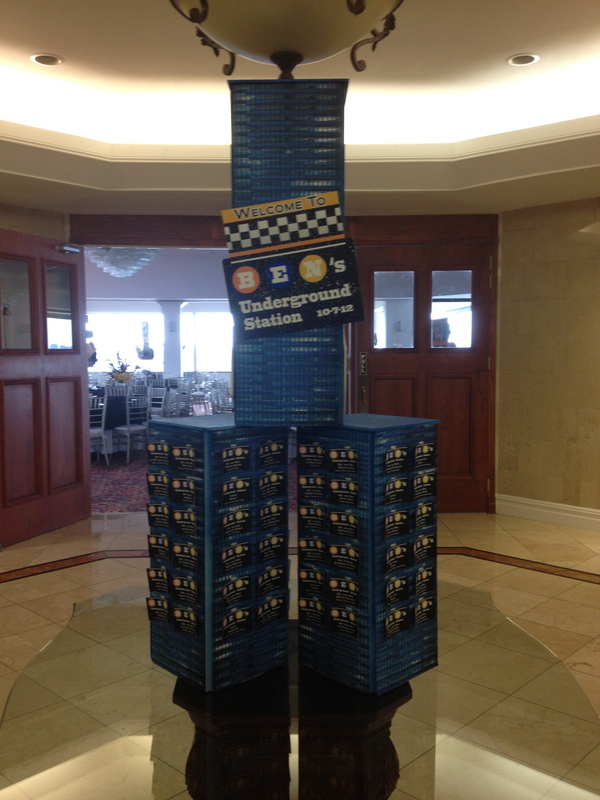 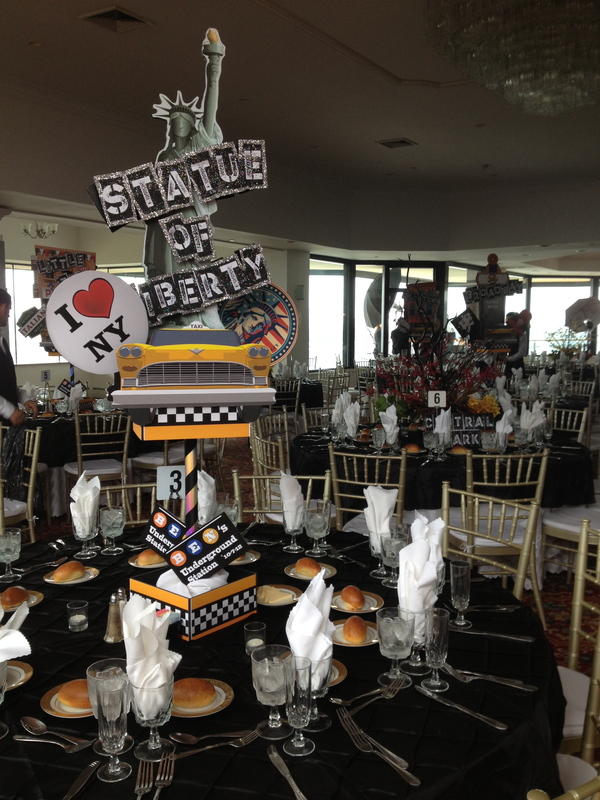 For this event the guest of honor Ben wanted to have a New York City theme with an urban style. 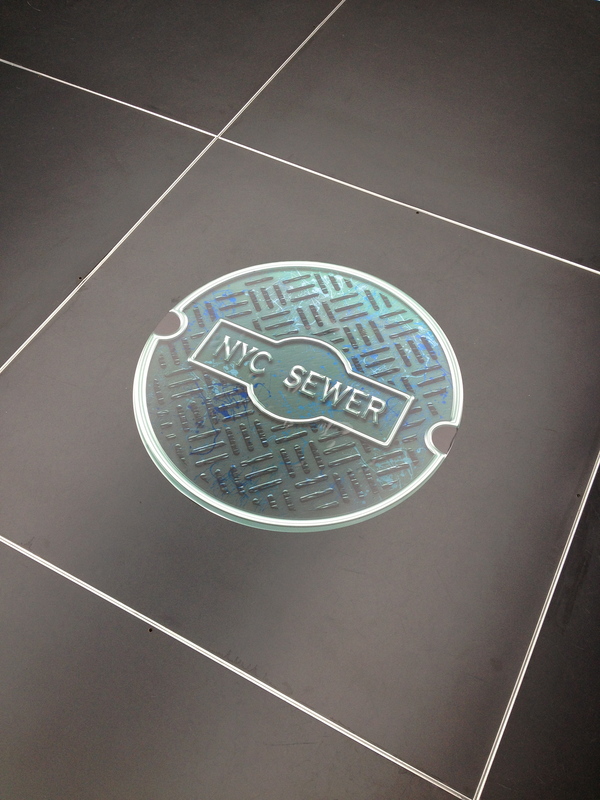 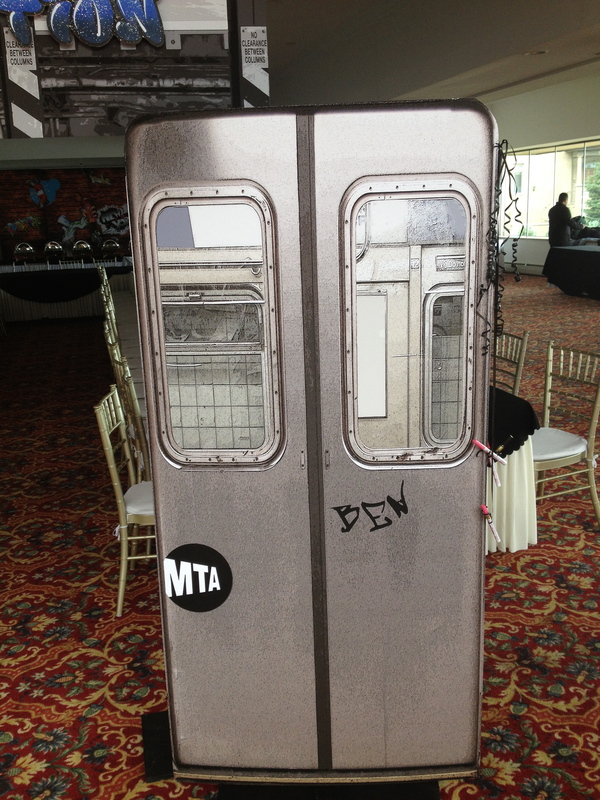 We used graffiti, sewer caps on the dance floor and subway doors as a sign in for people to write on to create that look. 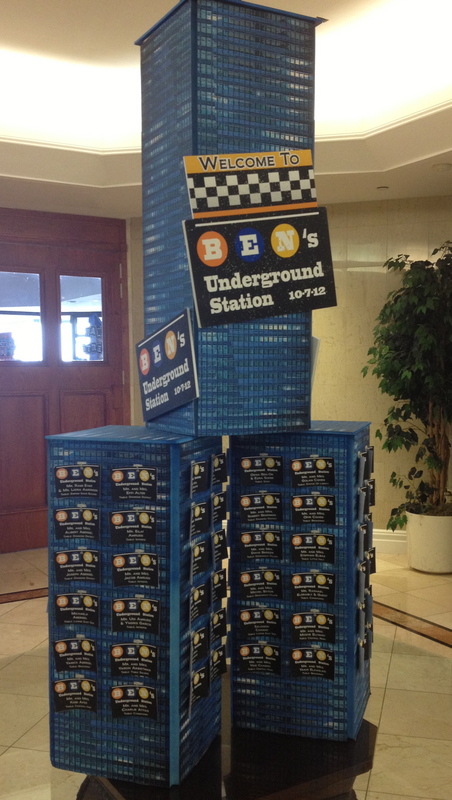 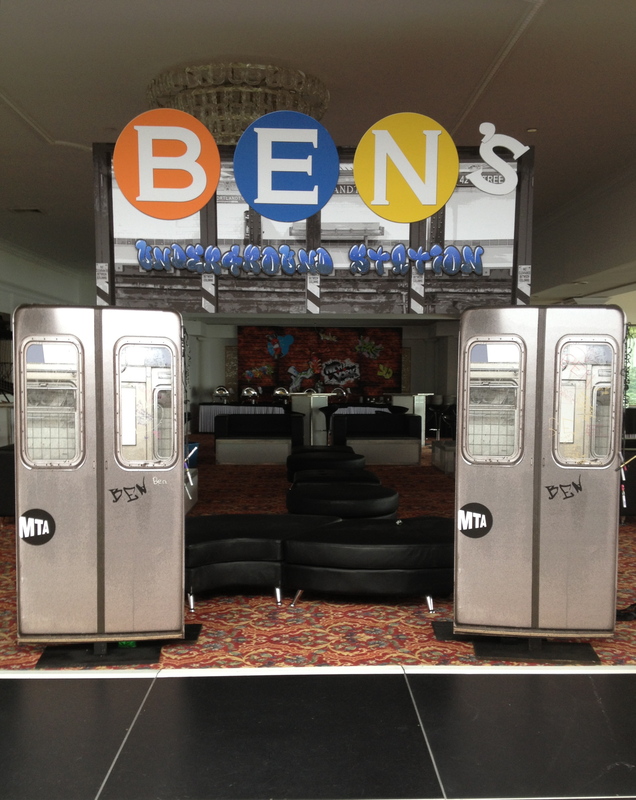 As guests first entered the venue they got their metro card seating assignment with Ben’s logo on it, which we hung from a 3 dimensional 6′ tall skyscraper. 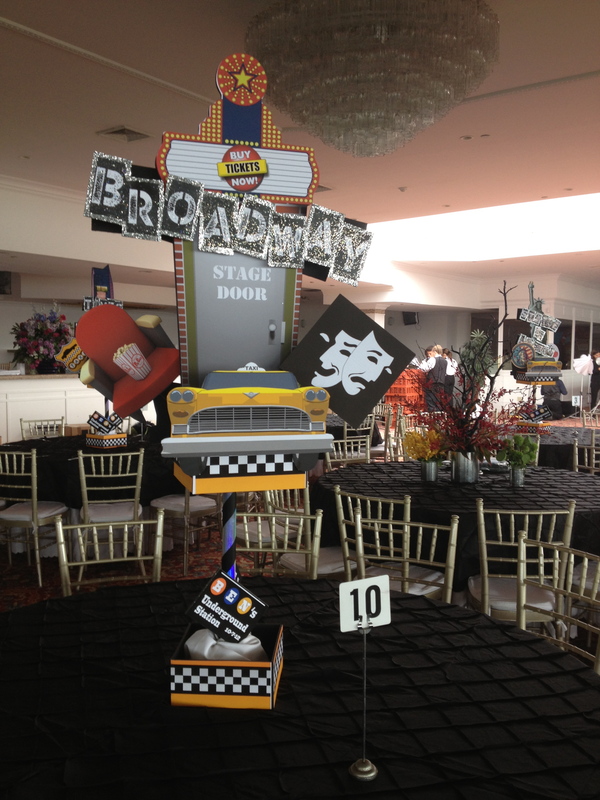 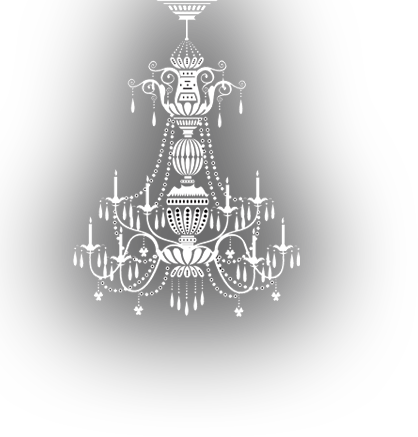 As you entered the main ballroom it’s as if you were in New York City! 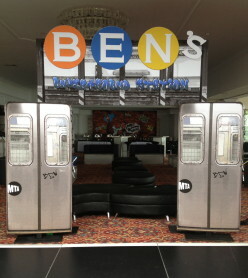 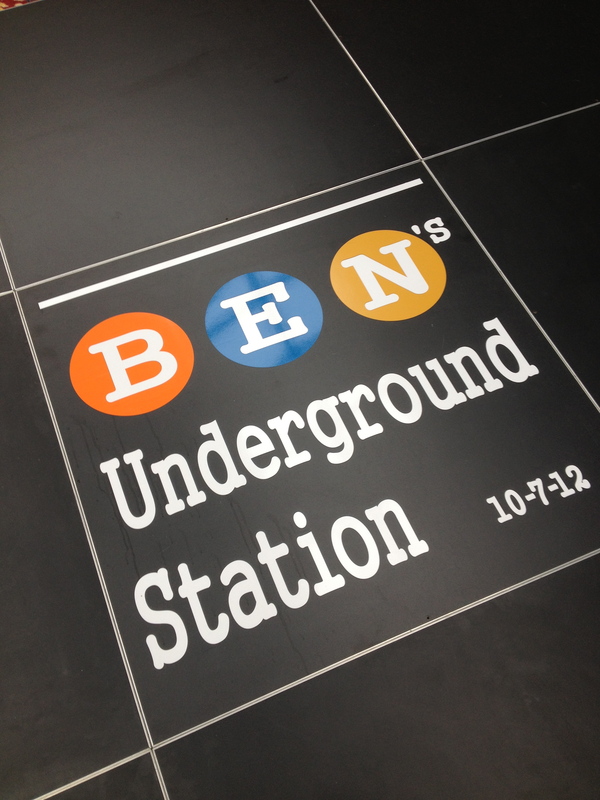 Using a marquee with a subway station scene above the subway doors (also used for his sign in) we created an entrance for the kids lounge which was called “Ben’s Underground Station” The lounge also featured a 12′ x 8′ brick wall backdrop filled with graffiti and enhanced with a 3D silhouette of a kid spray painting in front. 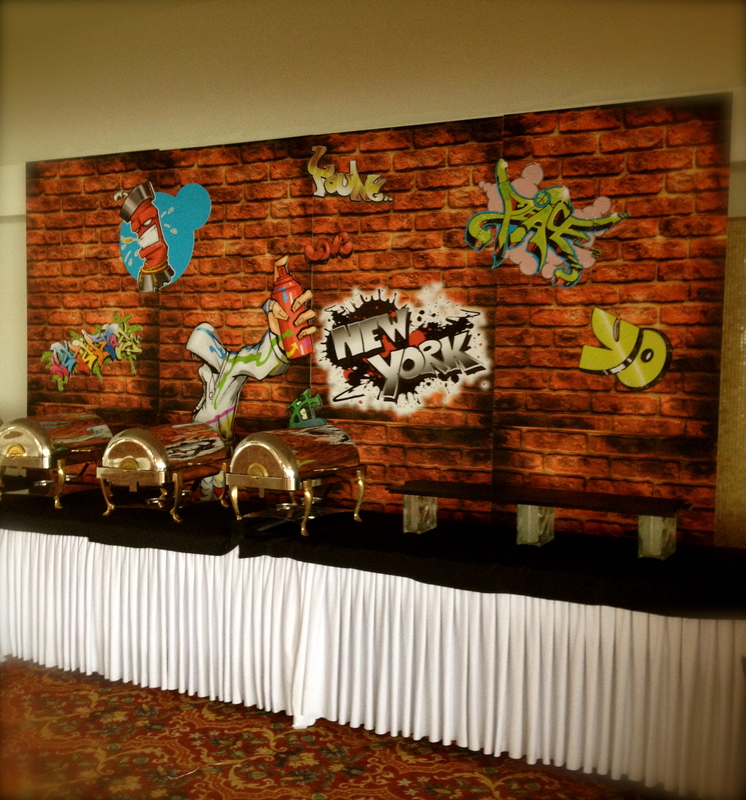 The lounge furniture was set up throughout the kids side of the room between the entry and the backdrop. 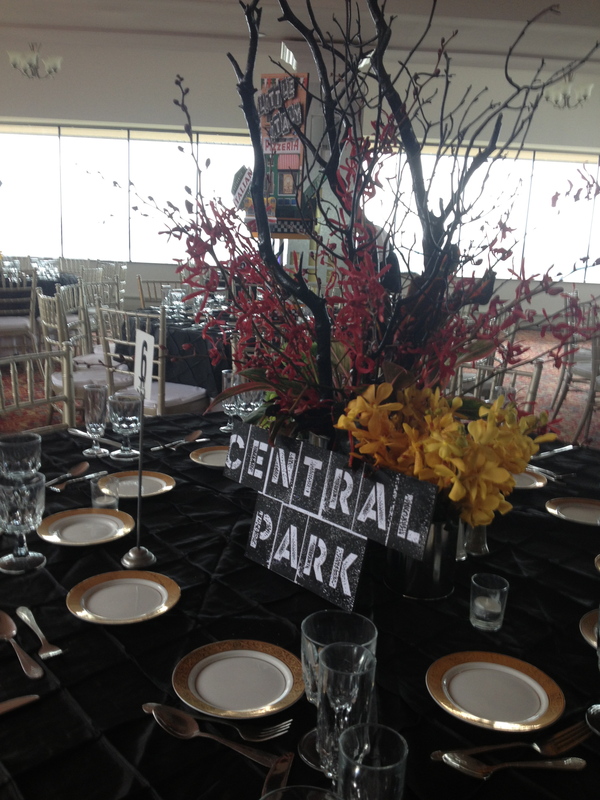 The adult tables consisted of two style centerpieces. 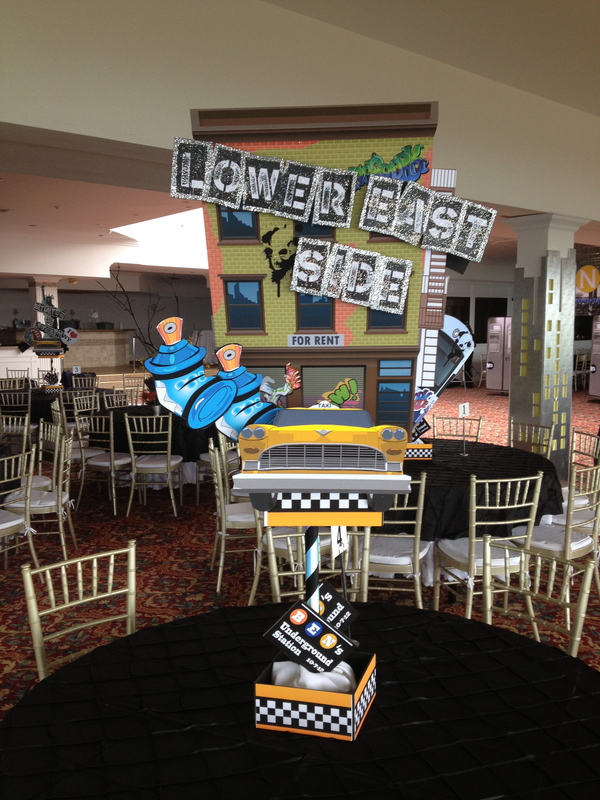 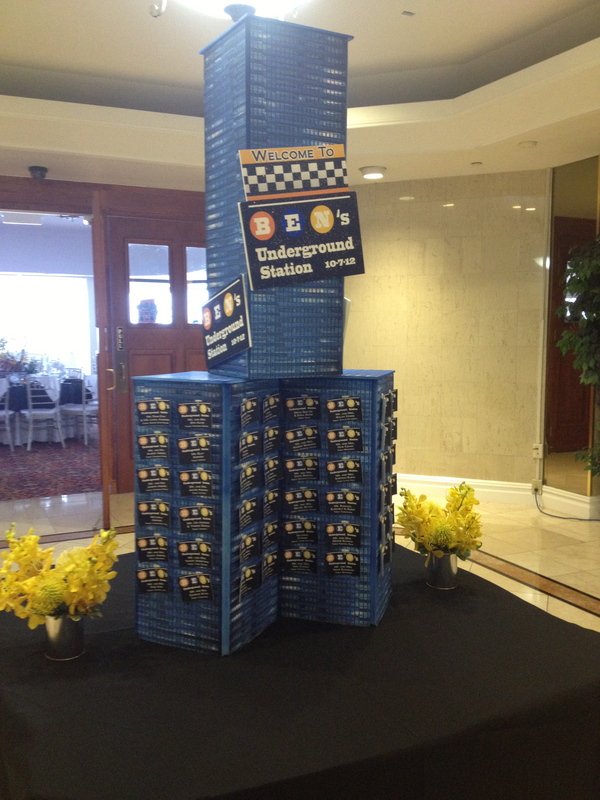 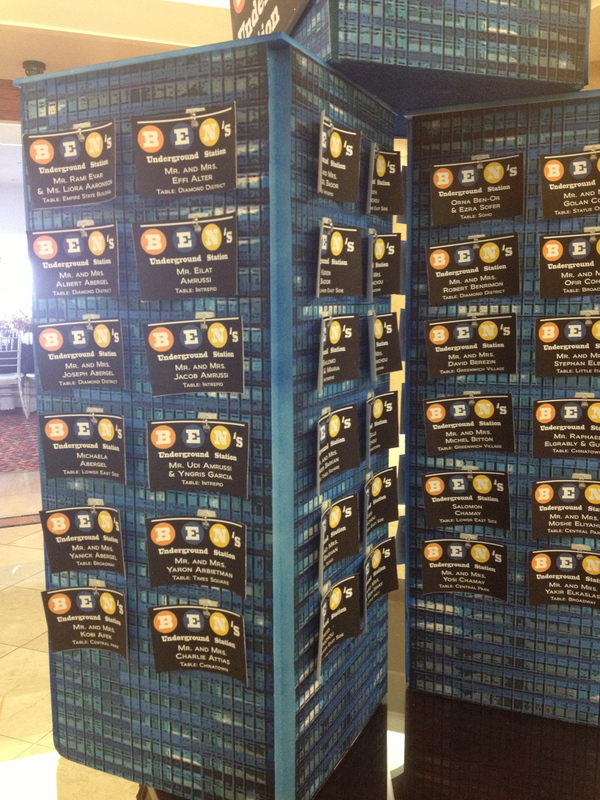 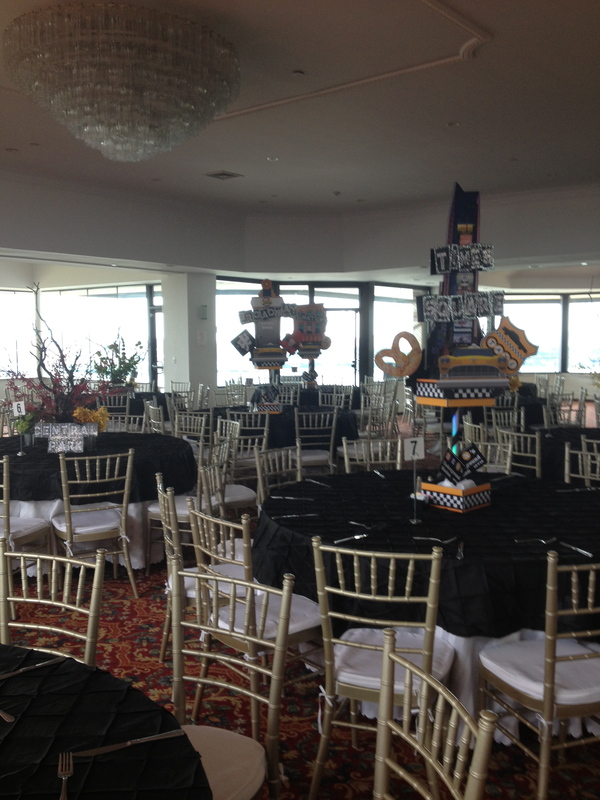 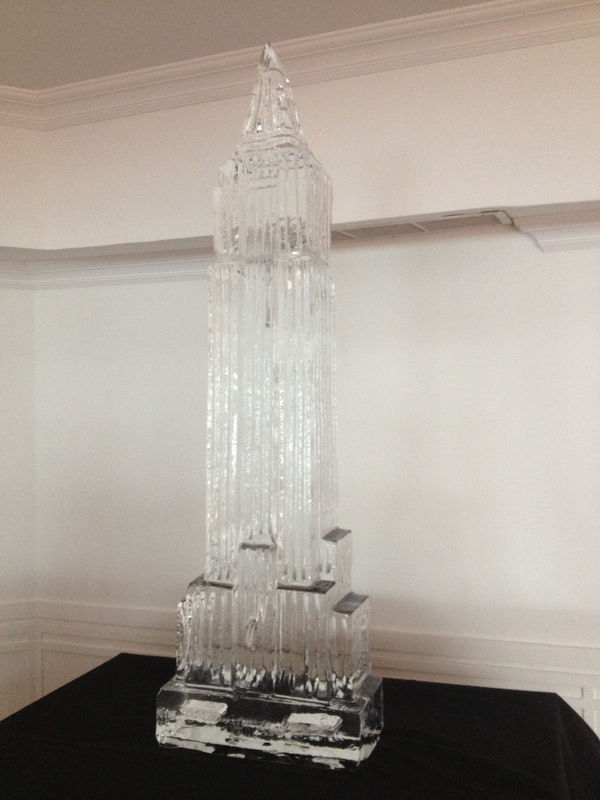 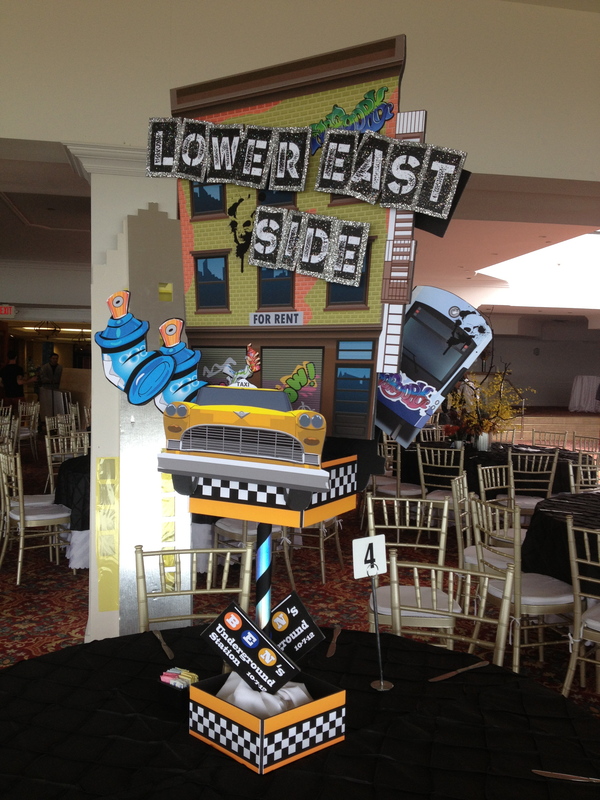 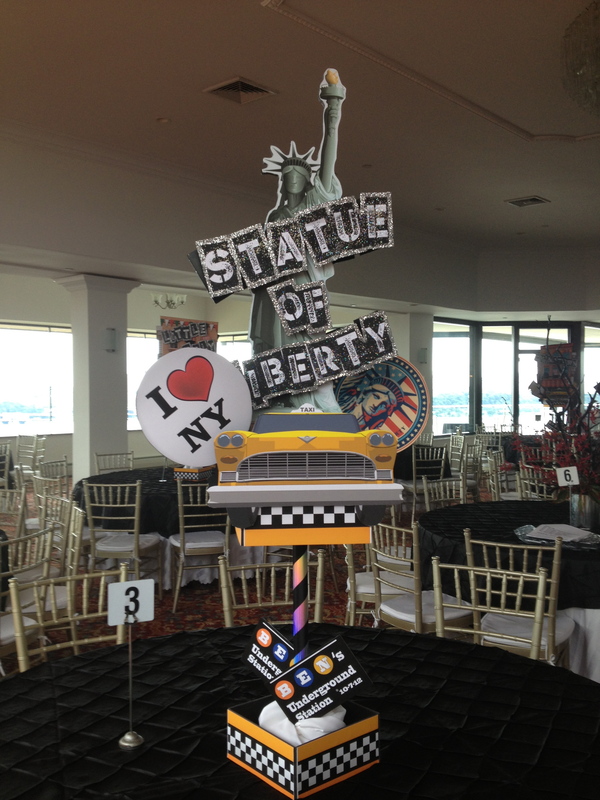 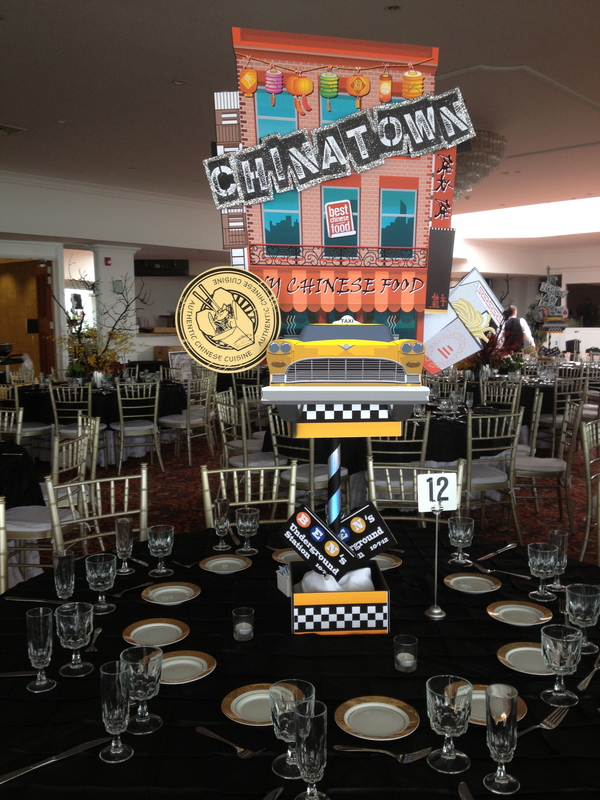 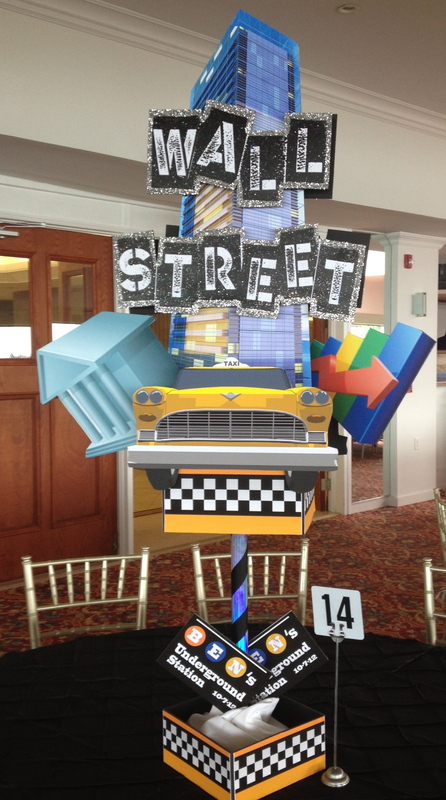 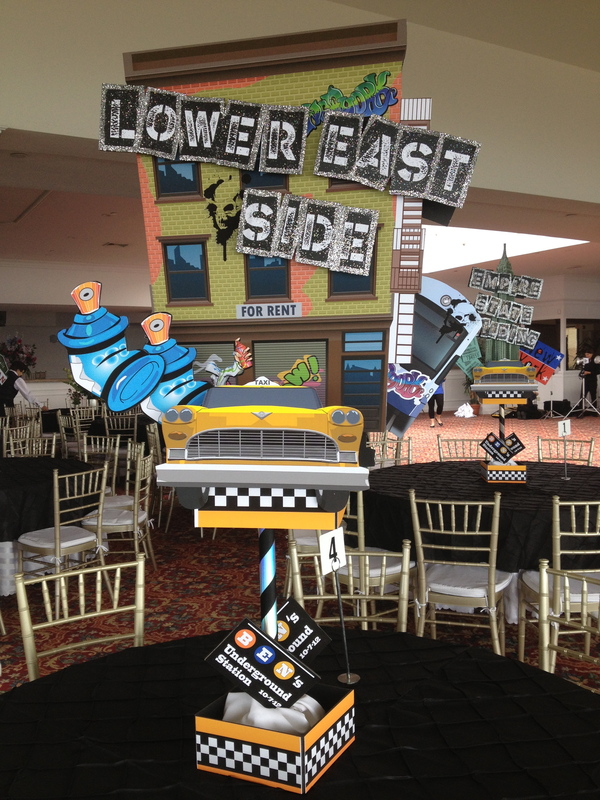 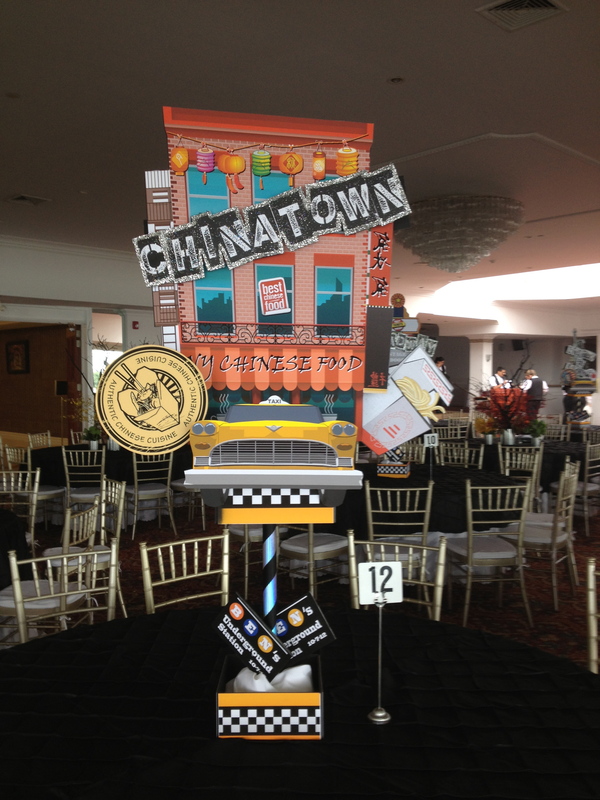 Half the tables were made up of fabulous oversized 3 dimensional themed centerpieces representing different neighborhoods and landmarks of New York. 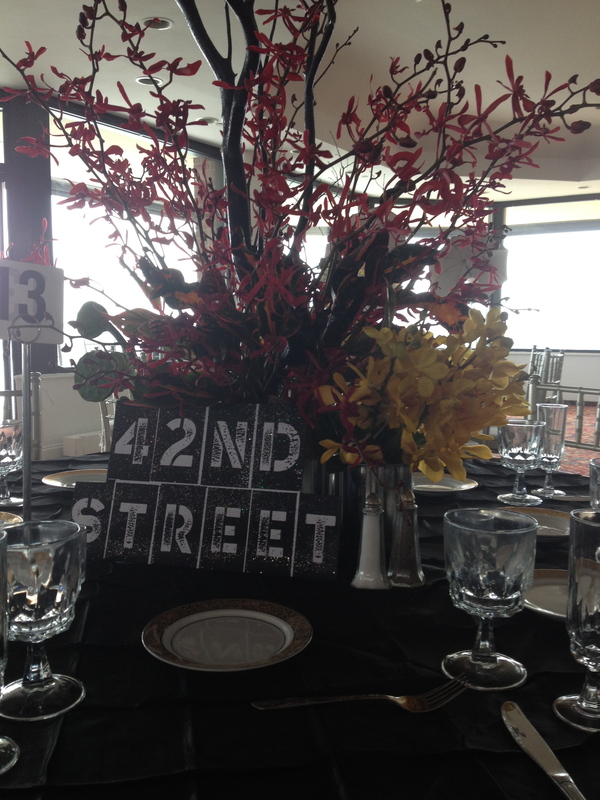 The other tables consisted of beautiful yet “street” style floral arrangements. 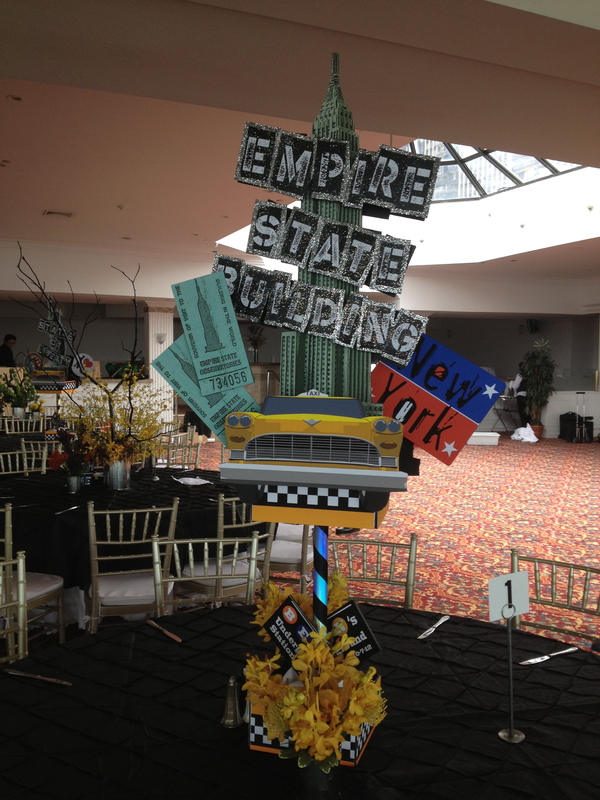 They featured yellow branches similar to the trees seen along the streets of NYC. 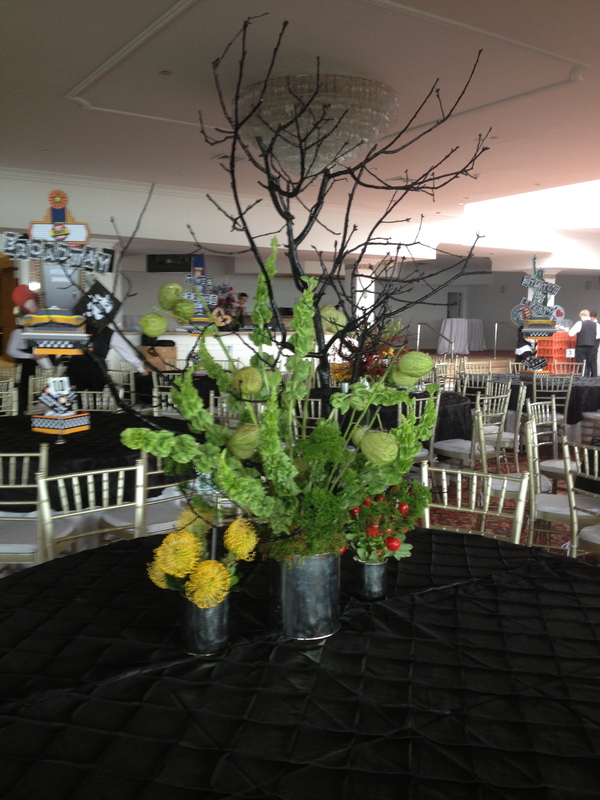 Instead of vases we used silver cans to add to the theme! 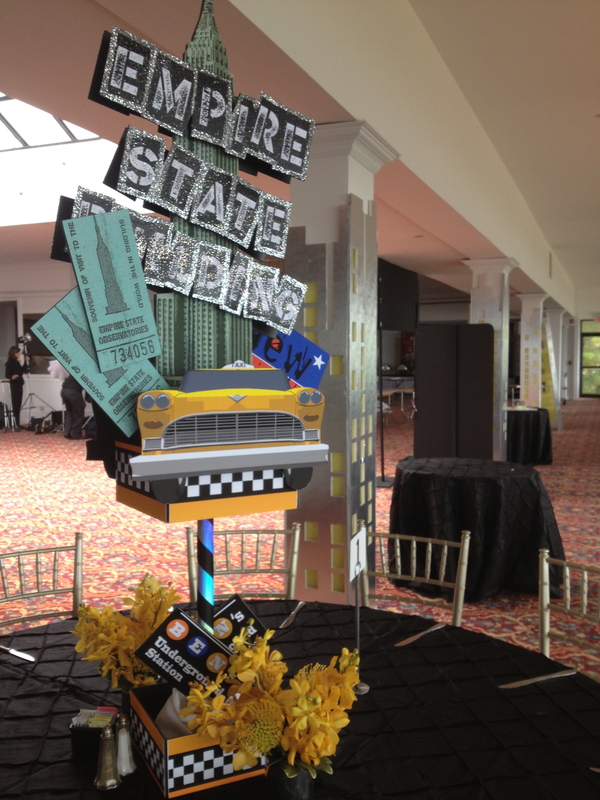 These were done by a florist. 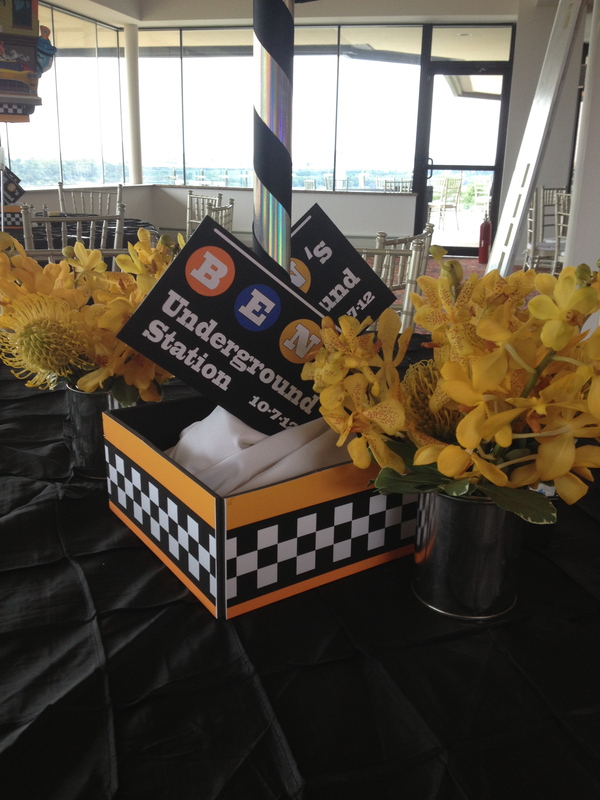 The yellow of the flowers matched the taxi cab print we used on the themed pieces to create a cohesive look. 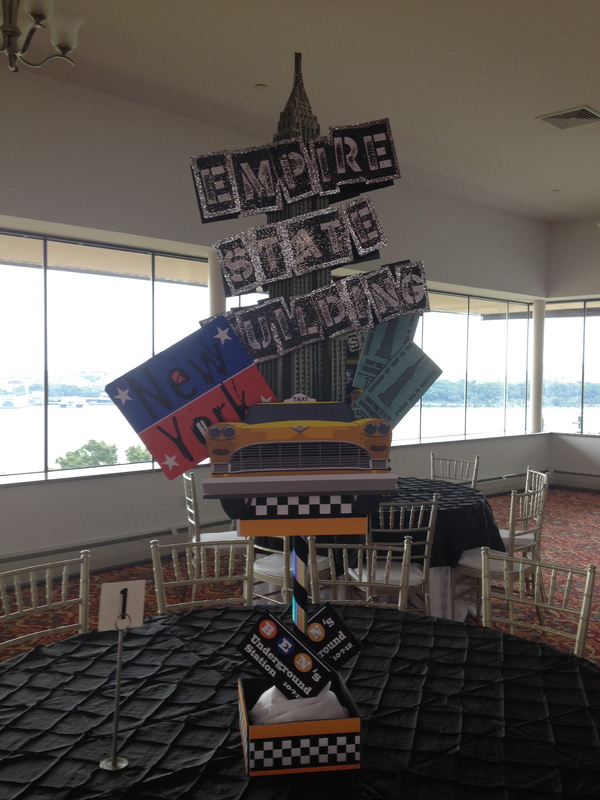 Using our table cards on all the tables to name them, the two style centerpieces tied together perfectly creating a fun and authentic look of New York City!